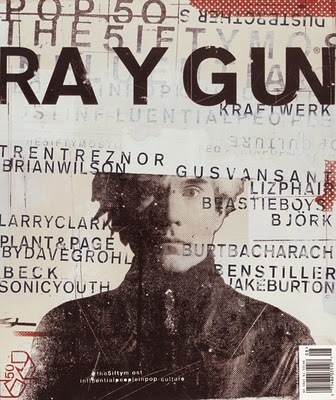 A former sociology teacher and professional surfer, David Carson is the graphic designer whose work for the magazine Ray Gun epitomised the grunge aesthetic of the 1990s. His work set the visual style for a generation of bands and MTV audiences and, according to Newsweek Magazine “changed the public face of graphic design”. Carson’s style is avowedly self-indulgent, using non-traditional lettering and imagery and smashing them together in an often seemingly indecipherable morass. For Carson, typography was art and the way he combined it with the background drew the viewer into the piece, making them work to both read the text and understand it in contest with the imagery.